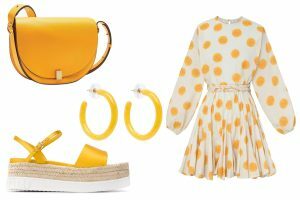 We’ve spent the last few months waiting for that moment to wear all the latest spring runway trends and it’s finally here. 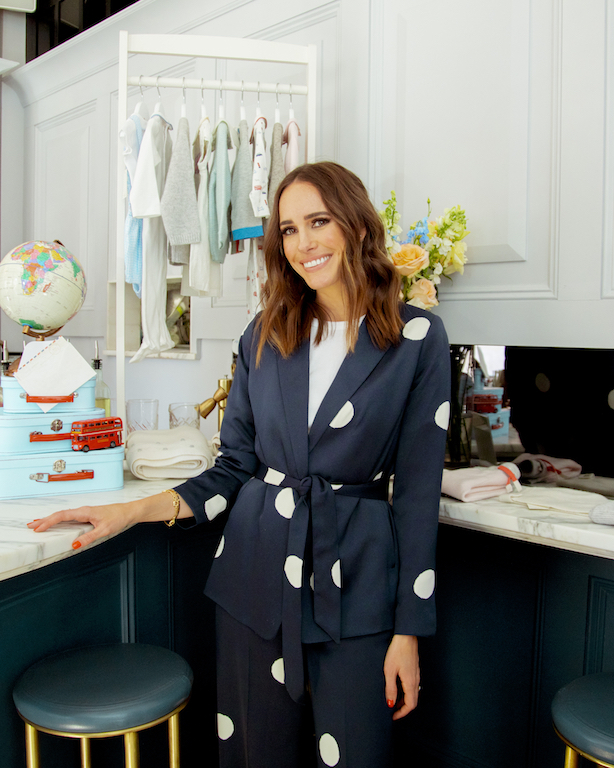 Calling all stylish moms: You spend hours dreaming about the catwalk-turned-streetwear looks of the season, pre-planning outfits, shopping the latest pieces, and generally basking in the beauty that is fashion. But as you dress your mini-me, why not take the same care? 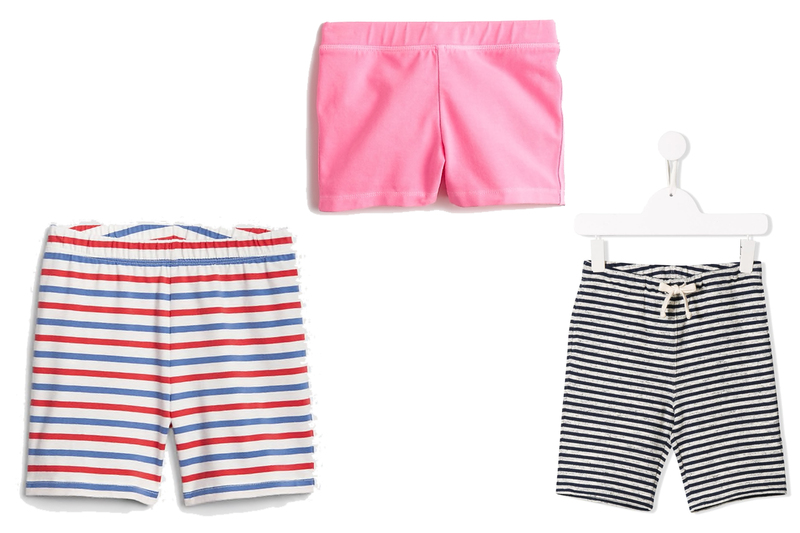 Sure, your little one always looks styled-to-a-T (that is, until she hits the monkey bars…), but this spring, it’s time to shop the latest and the greatest for that tiny budding fashionista. 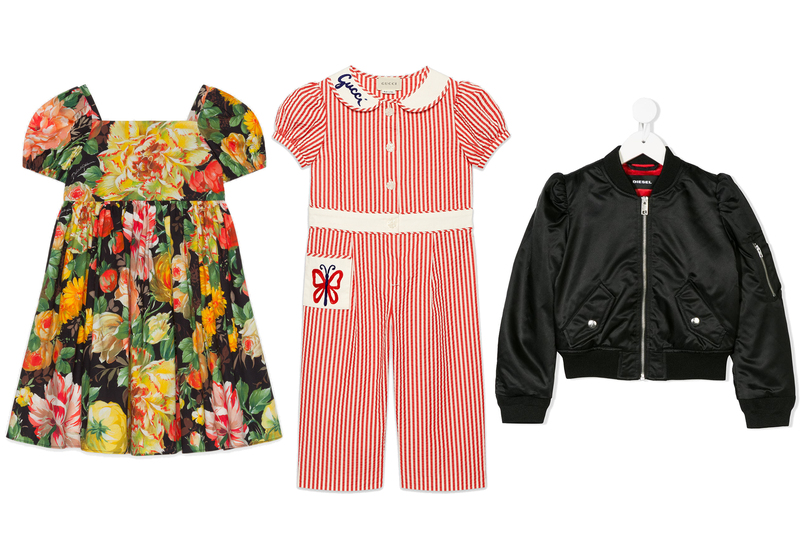 From sporty (and, frankly, childhood-inspired) spring trends like bike shorts and tie-dye to more tailored and feminine looks like puff sleeves, we’ve got you covered with the below spring runway trends we’re all shopping for our kiddies this spring. 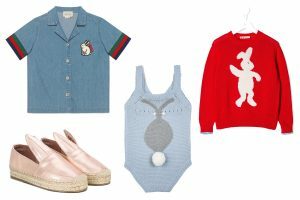 A trend you remember fondly from your own childhood is back for spring, seen on everyone from Naomi Campbell to Kim Kardashian. And, while you might be searching for more grown up ways to mix the retro piece into your own wardrobe these days, it’s still an awesome daily go-to for your kids. Yet another youth-inspired trend has hit full-force, seen on the runways of designers from Stella McCartney to Proenza Schouler and more. 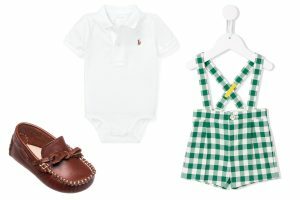 Whether you shop the look for your kids or have a fun DIY afternoon, it’s definitely a trend that you should be jumping on this spring and summer. Balmain Tie Dye Logo Sweatshirt, $521. 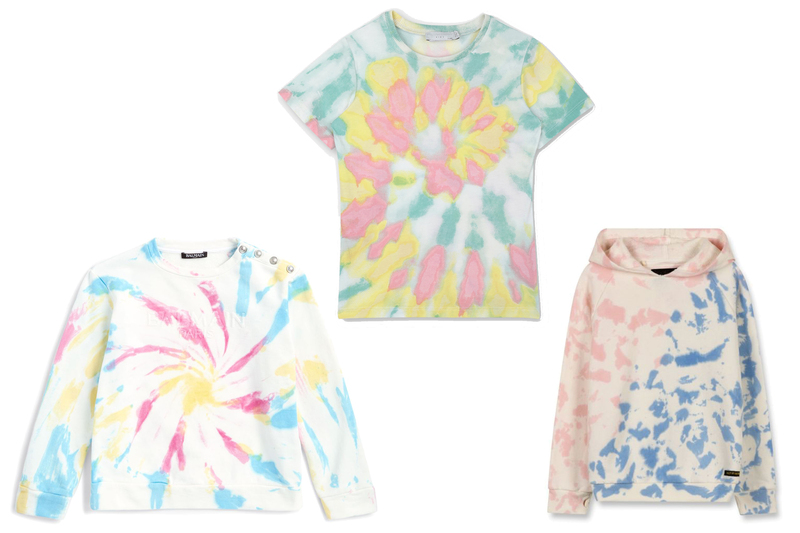 Stella McCartney Tie-Dye T-Shirt, $73. Finger in the Nose Wide Tie Dye Hoody, $74. Attention all sporty kids, this one is for you. Instead of trying to emulate a petite Audrey Hepburn with oversized shades, ‘tis the season for the most colorful, sporty, mirrored sunglasses for you and your crew. Hey, if works for Phillip Lim and Acne Studios, it works for us! 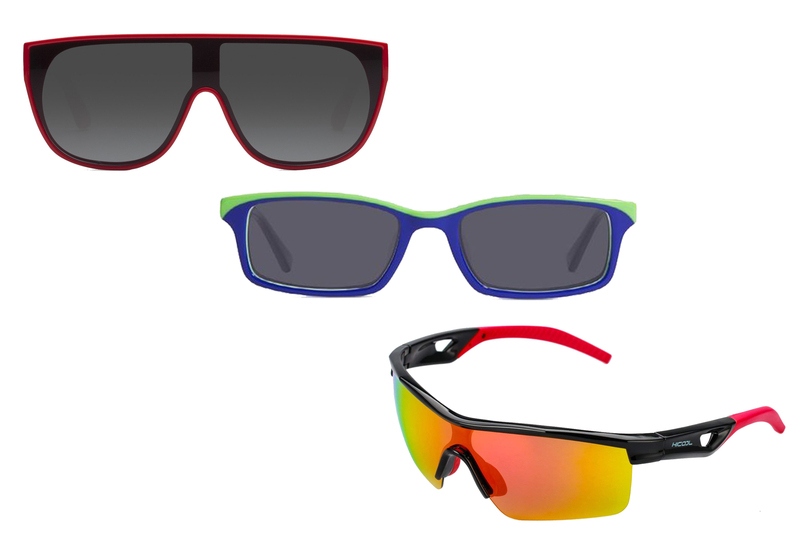 Pair Eyewear Cendro 2 Tone Bundle, $85. HiCool Kids Polarized Sunglasses, $15. One of our favorites of the bunch, this trend is soaring well past the likes of the party dress for our little ones this season. From blouses to cotton T-shirts, we’re. going to be hard-pressed to dress our little girls in anything but puffed sleeves this spring. Dolce & Gabbana Dress in Printed Cotton, $485. 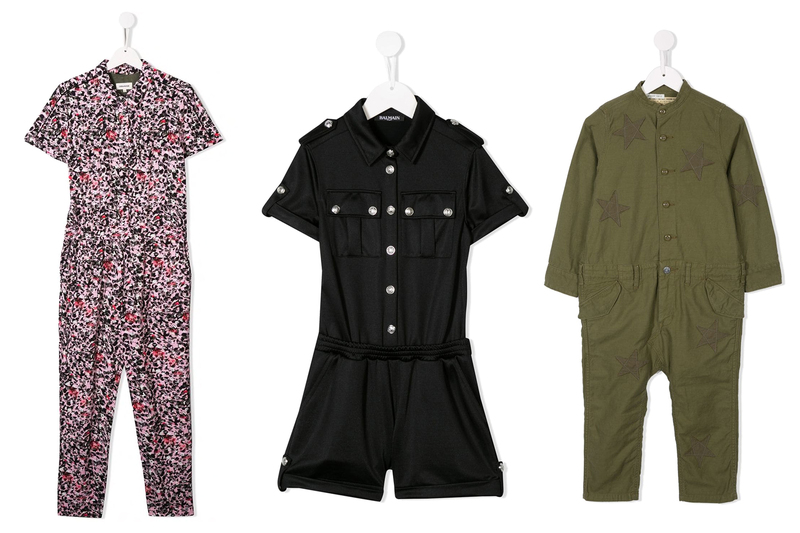 Gucci Children’s Embroidered Cotton Jumpsuit, $595. Diesel Kids Satin Puff Sleeve Bomber Jacket, $263. 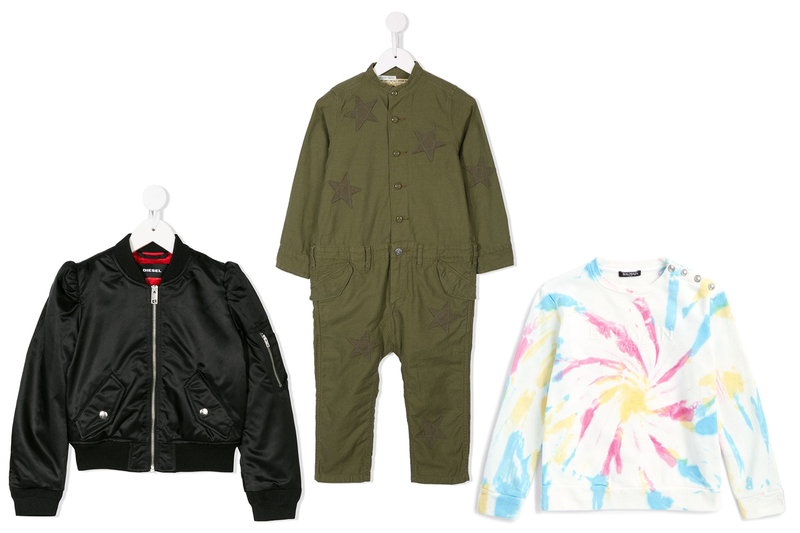 Utility has come out in full force in nearly every piece of clothing in the closets of adults and children alike, but one of our favorites for kids is the jumpsuit. Simple and chic, who doesn’t love a one-and-done? Zadig & Voltaire Kids Splattered Print Jumpsuit, $163. Balmain Kids Short-Sleeved Playsuit, $458. Denim Dungaree Star Embroidered Jumpsuit, $149.